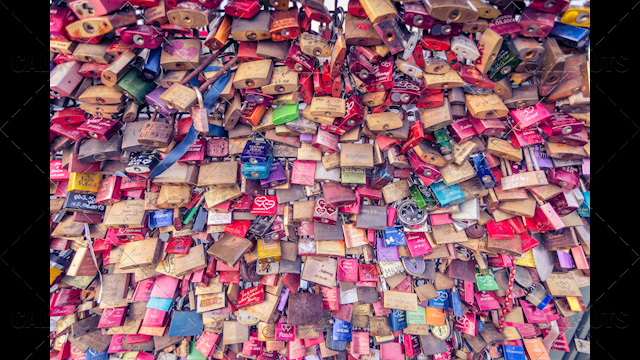 Locks of love on a bridge. Shot straight on. Photographed in Cologne, Germany.